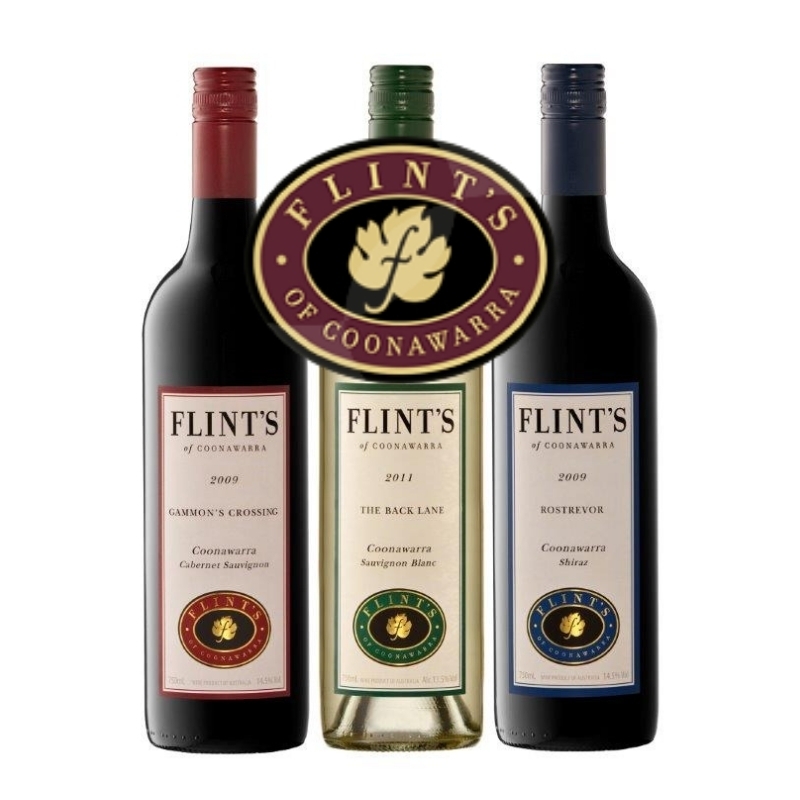 Since 1840, six generations of the Flint family have worked the rich land in South Australia’s Coonawarra. Their ‘Rostrevor’ property sits squarely on the terra rossa soil that has marked the region as one of the world’s finest wine producing areas. Flint’s of Coonawarra have been named a 4 Star Winery in James Halliday’s ‘Australian Wine Companion’. James is one of the world’s leading authorities on Australian wine, matching intelligent, honest reviews with unparalleled knowledge of, and passion for, the wine industry. Click here to find out more. A family selection 2012 Cabernet Sauvignon called “THE MICRON”. Our 2012 Gammon’s Crossing Cabernet won 7 GOLD medals, but the good news is, we kept aside what we considered the four best barrels from that vintage. “The Micron” comes in a beautifully decorated 3 bottle package. Limited numbers of these packs are available so don’t delay. The Cabernet thinking about flowering…….